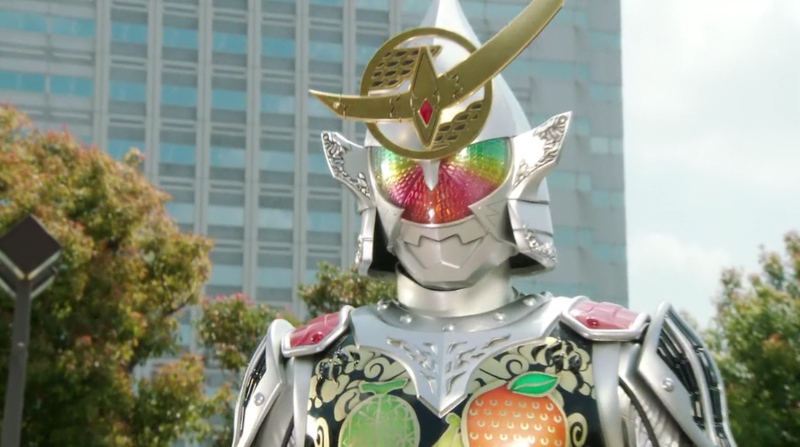 Kamen Rider Gaim episode 32 is entitled: The Strongest Power! Kiwami Arms "Saikyō no Chikara! Kiwami Āmuzu" (最強の力！極アームズ). Here is a preview of this episode. Baron Lemon Energy Arms and Knuckle cannot hold off Dēmushu forever, and he escapes them. With Sid dead at the hands of Roshuo, he instructs Redyue to continue the invasion of Zawame much to Takatora's shock, while Mitsuzane seeks out the Fruit of Wisdom still. Elsewhere, Kouta wakes up, and DJ Sagara presents him with something that will help him out.